I'd been wanting to make a prop like this for some time, however, I wasn't able to find the materials I needed, plus I couldn't decide on the exact construction. 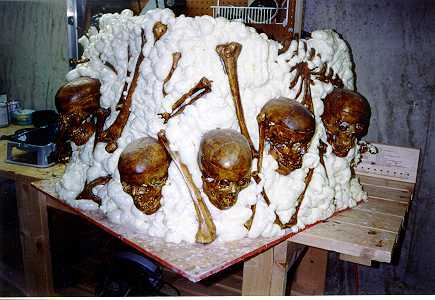 I then saw some pictures of Steve Hickman's work at The Terror Syndicate and was inspired by a wall hanging that he made with spray foam and skeleton parts. 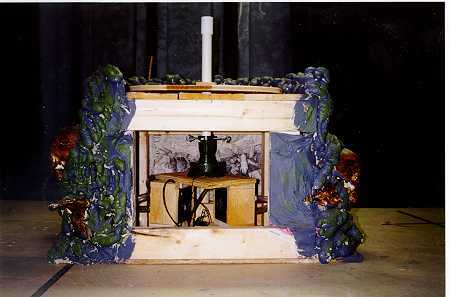 There's also the Pillars of Pain at Mike Fritsch's site, which is another excellent example for the use of spray foam. 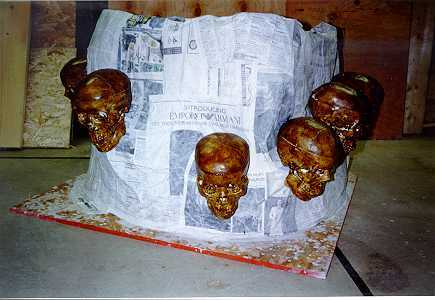 I purchased the skulls and miscellaneous bones from Anatomical Chart Co. and aged them with MinWax gel stain. 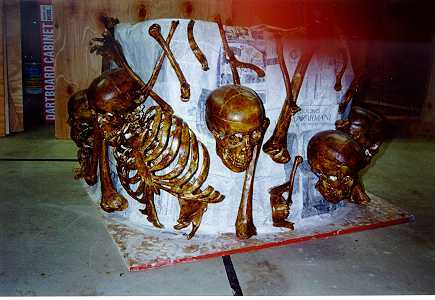 A fog machine was aimed into the base from the back and the fog "oozed" out through various gaps around the skulls and bones. Unfortunately, I ran out of fog fluid the night before I took pictures so I don't have any photos of the effect, but it did look pretty creepy. A small motor in the base allowed the prop to rotate back and forth. 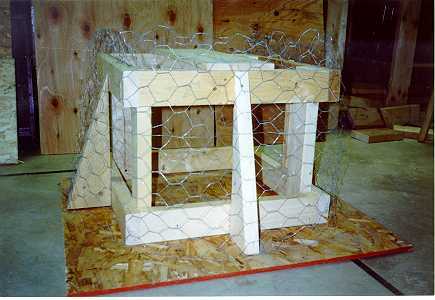 and covered it with chicken wire. 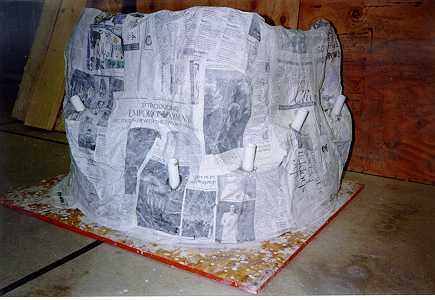 sheets of newspaper and papier-mache paste. 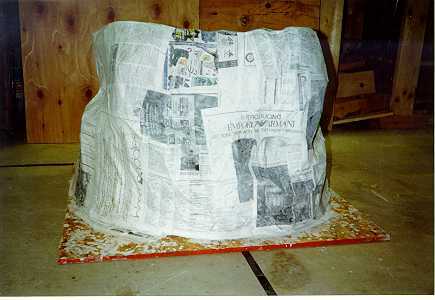 through the newspaper and glued in place. the areas in between as well as secure everything. 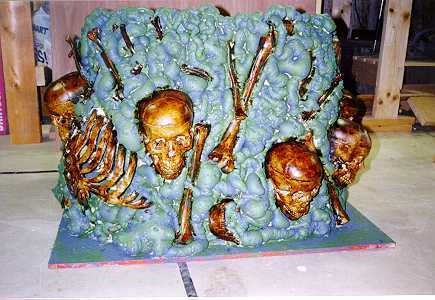 then sponge painted with green. rotated the figure back and forth. 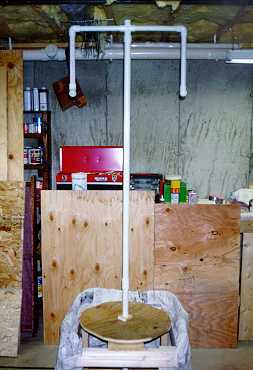 Grim Reaper figure standing on top.